CBD Oil Review rates Ambary Gardens with four stars because it qualifies for the Quality, Safety, Mission & Innovation Badges. Ambary Gardens has a grassroots feel and an obvious hyper-focus on their innovative greenhouse grow operation. They are committed to sustainability in everything they do. Onsite, Ambary Gardens is constantly adapting to utilize the best organic methods to care for each individual hemp plant. When it comes to outside sourcing for items like their CBD topical products, they only use ethical, earth-friendly vendors. We recognize this brand for its genuine passion for the cultivation of clean, organic hemp as a labor of love. What makes Ambary Gardens stand out is their greenhouse growing operation, uncommon in the CBD industry. As the name suggests, they’re all about the garden itself: the seeds, the soil, the intimate process of caring for plants. Growing hemp in a greenhouse has a few benefits, including a consistently warm climate and sunlight, protection from the elements, and the ability to grow year-round. Additionally, these hemp plants are all cared for by hand by professional growers with years of experience. The result is a continuity of high terpene and CBD counts in each harvest that is always double checked. Ambary Gardens performs on-site testing on each batch before sending for independent assessment at Botanacor Labs. Ambary Gardens features the full line of CBD products available for shipping to all 50 states. CBD tinctures, including the fast-acting Nano Full Spectrum, and soft gels are among the best-selling items. CBD Isolate, vape products, pet relief, bath bombs, and their Hemp Hydrate Water offer something for everyone. 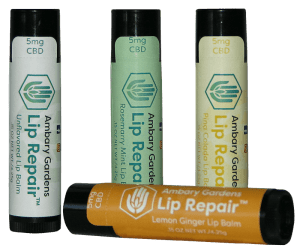 Ambary Gardens has put a lot of research and a lot of love into their CBD topical line, striving to find the perfect combinations for the ultimate experience. These combinations feature nature’s health boosters such as Himalayan pink sea salt, magnesium, and high-grade essential oils that complement their premium CBD. What we really love about Ambary Gardens is the personal aspect they apply to their business practices. Plants are cared for by people who care, the customer service is amazing, and you can even visit their store in Colorado next to the greenhouse where they will give you a free sample of any of their products. 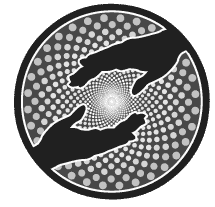 By doing things differently and sustainably through their grassroots approach to the CBD business, they engender trust and put out phenomenal quality. They are somewhat lacking in the charity area, as they don’t actively donate to a specific organization, so we did not grant them the Charity Badge. Ambary Gardens employs expert gardeners who care for their cannabis by hand, using organic growing methods and sustainable practices. Ambary Gardens utilizes in-house testing for safety and potency with every CBD product they release. Each batch is then sent for third party verification at state-of-the-art facilities. Ambary Gardens has a staunch mission to provide carefully cultivated, organic CBD with optimal efficacy to enhance the overall well-being of everyone seeking alternative remedies. Ambary Gardens utilizes hybrid soil-aquaponic grow systems to harvest their hemp in greenhouses year-round with personal attention given to each plant.